A recent report, “Black Lives at the Border,” says migration across the U.S.-Mexican border has dramatically changed in the last decade. For the first time, non-Mexicans are most of the people crossing the border, and the total number of people crossing is the lowest since 1970. 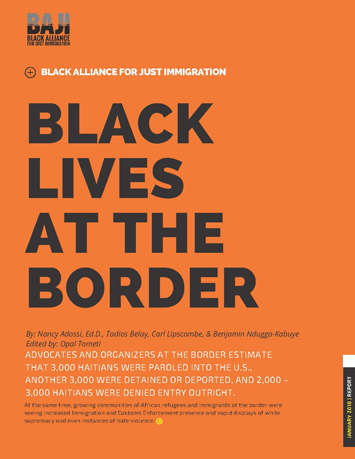 The report, issued by the Black Alliance for Just Immigration, calls the problem a “human rights crises” where Black refugees and immigrants experience xenophobia, overt displays of White supremacy, violence and mistreatment by Immigration and Customs Enforcement. “What has been happening over the last 10, 15 years is like, there’s been a shift in who’s crossing the border,” said Benjamin N’dugga-Kabuye, Black Alliance for Just Immigration research and advocacy manager. “Typically, we think of the U.S. southern border as crossed by predominately Mexican immigrants and usually that’s been the case for decades,” he said. However, there are multiple reasons why there is a decline in Mexican immigrants and a spike in people from the Caribbean, Africa and other regions. Mr. N’dugga-Kabuye told The Final Call the shifts have been attributed to demographic changes like lower birth rates in Mexico and a U.S. economic downturn that simultaneously happened with an economic upturn in Mexico. Along with the demographic change are hardships encountered with U.S. Border Patrol that helped decrease numbers, he added. It’s an “extremely dangerous journey” and the U.S. Border Patrol and immigration system “violates a number of human rights,” Mr. N’dugga-Kabuye said. The U.S.-Mexico border has been a hot button issue in American politics. Analysts note the debate intensified with the anti-immigrant policies of President Donald Trump who vowed to wall off the border to keep people out. Rights activists say laws have become harsher over the 15 months of the Trump administration. 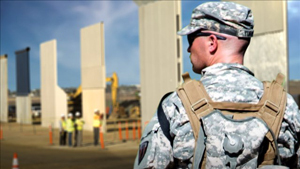 They point to the Border Security and Immigration Enforcement Improvements order, which aims to militarize the border, curb due process, increase detention and expand enforcement practices. U.S. laws that protect immigrants are aggressively being stripped away, nullifying protections for immigrants who fled disasters, civil strife and turmoil in their home countries, they said. The Department of Homeland Security has terminated temporary protected status for immigrants from Haiti, Sudan, Liberia, El Salvador, Nicaragua and Nepal. Honduras, Somalia and Yemen are due to be added, said experts. “It is dumbfounding how this administration does not care to hide their bias and their fundamental problem of racism,” said Patrice Lawrence, national policy and advocacy director at Undocublack Network. The group wants Congress to speak out against measures that place people in dangerous positions. “The list of instances of disregard for human rights and dignity just keeps getting longer,” Ms. Lawrence added. Rights organizations are saying the ill treatment of immigrants from Black and Brown nations is nothing less than racist. “I would say the immigration process is the same institutionalized racism that we see in all of the other institutions,” added Hugh Muhammad, the San Diego representative of the Nation of Islam. San Diego was ground zero for activists fighting discriminatory practices of the U.S. government at the border. Mr. Muhammad was part of a delegation of leaders and organizers that heard first-hand accounts of the plight of Black immigrants. “When we talk about immigration, we don’t deal too much with European nations who bring a lot of people in,” Mr. Muhammad said. He raised questions about a double standard when the U.S. considers who should be allowed in the country. Earlier this year President Trump asked why America keeps receiving immigrants from “shithole” African and Caribbean nations and suggested more immigrants be accepted from European countries. Observers see U.S. anti-immigrant posture as hypocritical, saying the U.S. policy had a hand in creating some of the unlivable conditions immigrants flee. “Many of these people are coming from countries where the U.S. has maintained and engaged in consistent intervention and destabilizing those countries,” said Mr. N’dugga-Kabuye. But, he said, when they get to the U.S. border they are faced with the U.S. military. Haiti, parts of West Africa and the Democratic Republic of the Congo are examples where U.S. meddling helped cause unlivable conditions that pushed people to leave. 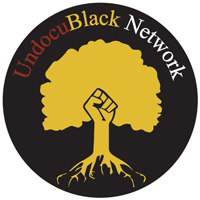 Organizations like the Black Alliance for Just Immigration, UndocuBlack Network, African Communities Together and concerned leaders are highlighting problems Black immigrants face and supporting the immigrants. Black migrants suffer everything from lack of adequate translation and legal services to poor healthcare and illegally receiving high bail when held in detention centers. In 2016, when the alliance started hearing about the plight of Black migrants at the border, 19,000 African and Haitian migrants arrived in Mexico and upwards of 700 a day were arriving in Tapachula, Mexico. Border towns on the Mexican side reflect the changing face of migration, said the report. Getting to the U.S. side of the border is the culmination of a grueling and expensive journey. Black migrants told Black Alliance for Just Immigration terrifying stories of exploitation, extreme danger and violence on the route to the border. According to the United Nations Refugee Agency, migrants pay $5,000 to $10,000 each to smuggling networks for a journey across several nations. The agency estimates the smuggling business generates nearly $7 billion a year along Latin America’s routes to the U.S.
Aside from using smuggling networks, Black migrants walked or drove from as far away as Brazil through Central America and Mexico for entry into a U.S. that’s “quickly closing its doors to immigrants and Black people,” noted the report. He blamed U.S. foreign policy that undermined the economy of Haiti and instigated political instability and interruption, causing Haitians to seek refuge in America. Advocates and organizers at the border estimate 4,000 Haitians were paroled into the U.S., 4,000 were detained or deported, and 3,000 were denied entry outright. Attorney Champaign was part of a Black Alliance for Just Immigration-led delegation that traveled to San Diego and heard stories of Black migrants detained at the border. Some Haitians migrated to neighboring Dominican Republic but were met with xenophobia and discrimination. Other Black migrants went to Brazil, which was receiving people from around the world seeking employment during the 2016 Summer Olympics there. When that boom ended there was an unemployment crisis. Black immigrants were victimized by racist treatment that targeted Black Brazilians. The report told several stories of migrants navigating a difficult maze, escaping harrowing circumstances in their native lands, like Enzo, who hoped for political asylum. Enzo is a teacher and activist from Guinea in West Africa. He left the country to escape persecution for anti-government activism. It became clear his life was in danger after fellow teachers began disappearing. He fled to Mali, where he flew to Brazil. Enzo traveled by foot through eight Latin American countries to Mexico. Enzo faces problems many Haitians face, like being unable to find a lawyer to represent him and struggling as a French speaker in Spanish speaking countries. In contrast to Washington’s militarization and anti-immigrant approach, report authors call for a “holistic strategy” to support Black immigrants, refugees, and advocates. The Black Alliance for Just Immigration and its delegation identified steps to address the crisis. They called for funding Black immigrant and refugee organizations and advocacy initiatives as well as transitional support to Black migrants. They also want ways to hold larger, more resourced, border organizations accountable for serving all migrants, including Black immigrants. Culturally competent attorneys and Creole and African-language interpreters are needed and Black leaders dealing with immigration and refugee advocacy must be part of organizations at the border, they said. “What we’re seeing is only the beginning of this crisis … not only do we have an increased mass of Black people crossing the southern border, but they are also crossing with much less resources and support,” said Mr. N’dugga-Kabuye.